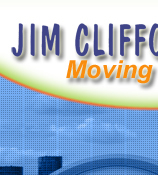 Jim Clifford Moving specializes in library moving, we are pleased to offer our clients a wide range of additional services. We have a trained staff that is totally familiar with all types of classifications-Dewey etc. and any type of integration or segregation can be handled with relative ease. This knowledge affords our clients peace of mind whether they have contracted with us for moving an entire library, integrating/ segregating collections, cleaning or shelving a backlog of material.